Centipede Press will publish a signed, special limited edition version of ‘Ender’s Game’ in October. According to Centipede’s website, this edition will include two color-illustrated books. The first book will be the 1990s revised version of ‘Ender’s Game’. The second book will contain Card’s original typed manuscript of the ‘Ender’s Game’ novella from 1975. This novella was later published for the first time in the August 1977 issue of Analog. The original typed manuscript likely contains minor differences from the published version which first appeared in the August 1977 issue of Analog. Examples of this edition’s artwork can be seen above (Chapter 1) or below (Chapter 6). Visit Centipede Press for a couple more artwork previews. 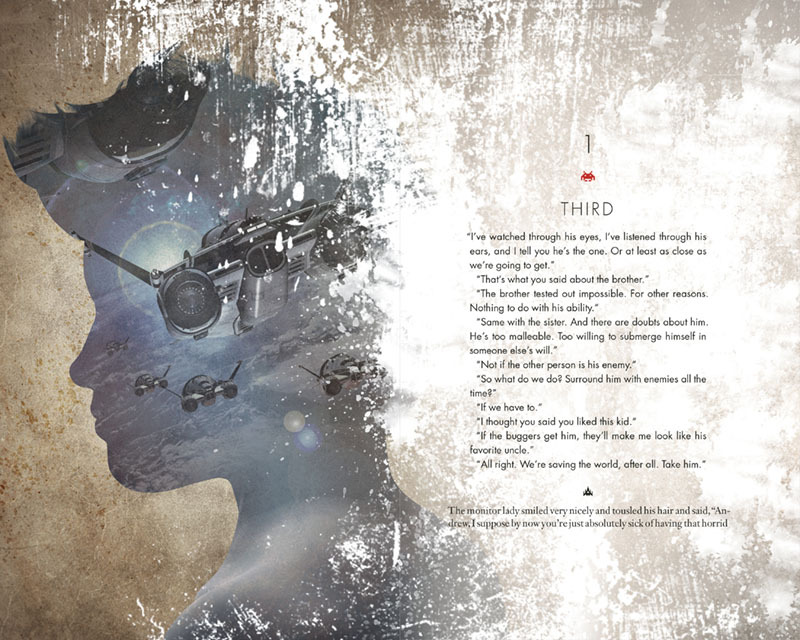 This new edition of ‘Ender’s Game’ is being sold for $295 in a limited print of 300 copies. You can purchase a copy here. According to Centipede’s website the books will ship near October 3.